IT professionals, business offices, and educational institutions are constantly fighting to keep their knowledge and technology up-to-date in the ever-changing world of tech. Windows Server 2016 is an extremely useful tool to future-proof your infrastructure and save you from unnecessary headaches. Let’s discuss some of the new features provided in Windows Server 2016 that you should consider if you are thinking about upgrading your server OS. Hyper-V is Microsoft’s virtual server manager included directly in the server operating system. Hyper-V is meant to compete directly with other virtual server management providers like VMWare. If you have been thinking about moving to a virtual server network, now all you have to do is upgrade the operating system on your existing servers, and it comes onboard without having to spend money on third-party software. The entire process is quite easy relative to other options. Hyper-V uses the same hypervisor as Microsoft Azure, creating your cloud environment right out of the box. Security is always a factor, but it is doubly so when your entire network resides in the cloud instead of on physical servers that you directly control. Microsoft is way ahead of the game in Windows Server 2016. They have created multiple applications that the IT Administrator can use to keep your data safe and optimized. These security features work with Hyper-V to guard against credentials being stolen and to provide silos and containers for individual applications. If one application comes under attack, the threat cannot spread to other applications, because each app is wrapped in its own layer of security. Windows Server 2016 has got your back with next-generation security tools optimized for cloud computing. Developing and deploying applications has never been easier. Microsoft has woven development and deployment tools right into the fabric of the server OS. You can now migrate your legacy applications directly into application containers with little or no code changes. Containers mean that your application is guarded with its own layer of security. It is like it has its server that can be fine tuned and guarded according to its security needs without the possibility of affecting other apps if there is an attack. It is also never been easier to deploy your application since your development environment and server are all connected inside the same virtual network. This connection makes authentication easier and more secure since Windows Server 2016 has advantages built right in. Instead of purchasing expensive dedicated storage hardware and creating complex storage environments, you can just create your software-defined storage solution. You will be able to create backup servers that are replicated and can be quickly resurrected after attacks. 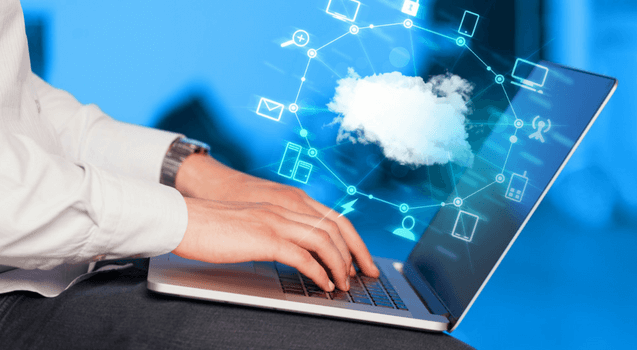 You can also increase storage and memory stats on your servers to optimize your applications individually since everything is configured and connected through software in the cloud. There’s no longer any need to purchase and configure dedicated hardware. You can build your data center and have it deployed and operational with your server operating system in a matter of minutes instead of days, weeks, or months, all at no extra cost. If you have ever considered moving your network to the cloud or creating a new network from scratch, Windows Server 2016 has the features you need built right in. To take maximum advantage of these new features and hit the ground running, why not look into getting advanced training today? ONLC provides cutting edge training through an extensive network of training centers or at your site through online classes. These classes provide the vital training that will make your new network deployment a huge success. Contact us today and see how you can become an expert on Windows Server 2016. Previous PostWhat is SQL and How Can I Use It? Next PostWhy Should I Upgrade to Exchange 2016 from 2010/13?